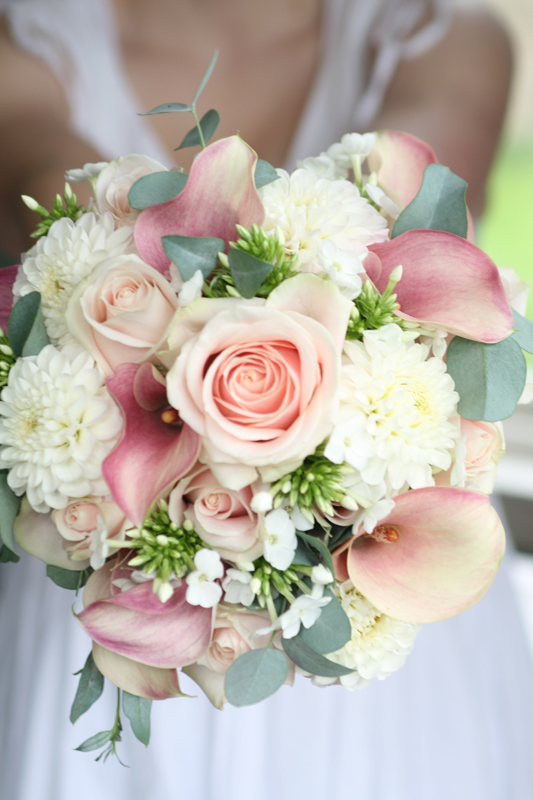 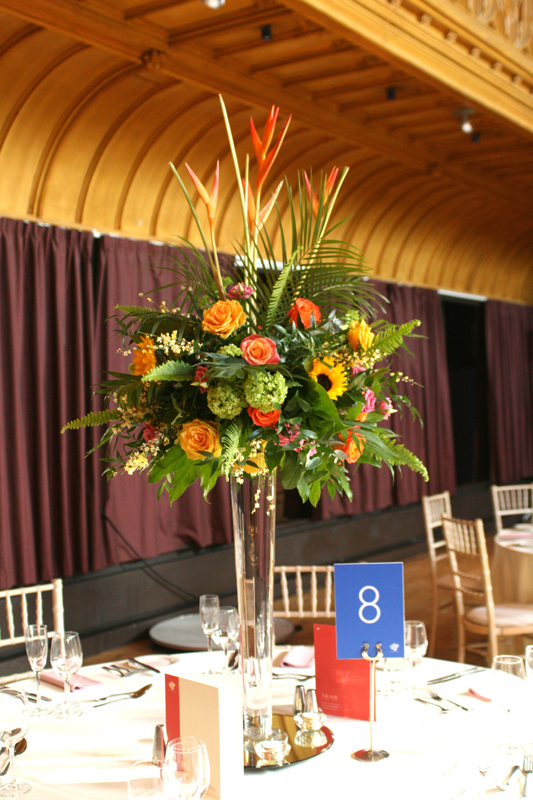 We loved creating this hand-tied summer bouquet for a bride which includes the gorgeous Dahlia! 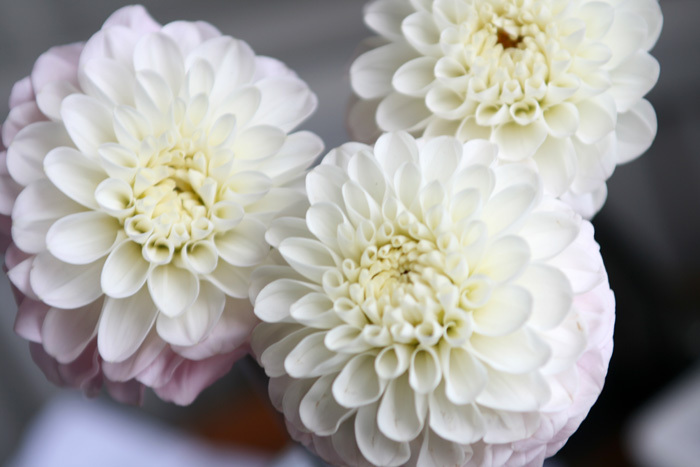 Dahlia’s are available from around June until October and are perfect in a mix with other seasonal blooms for summer weddings. 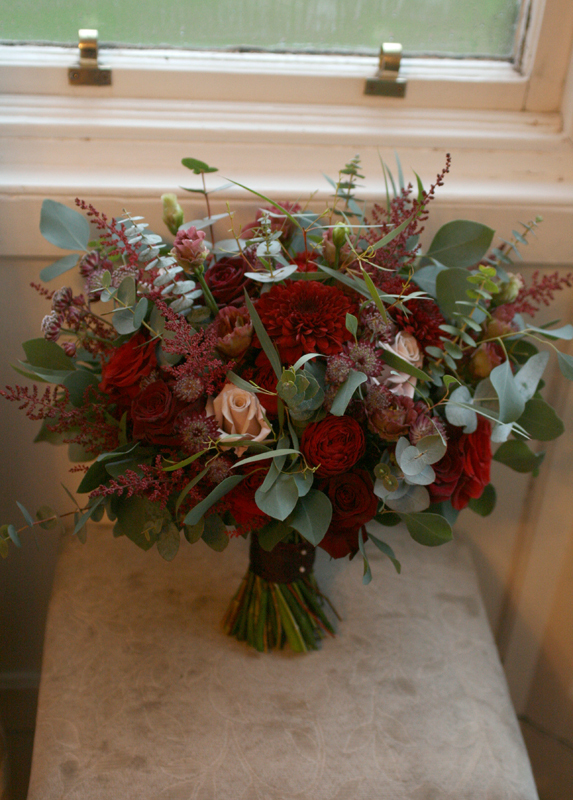 They are available in many colours from pale pinks and creams to bright oranges and deep reds. 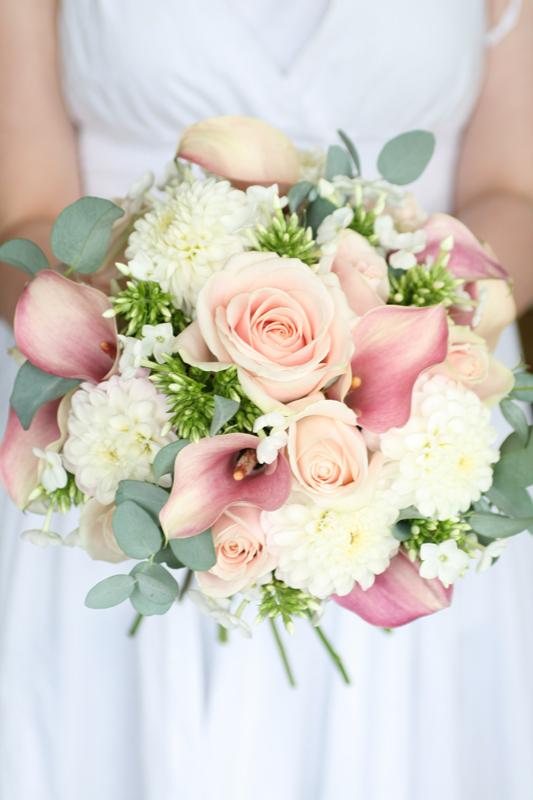 We included this cream/pale pink variety in this summer bouquet along with sweet avalanche roses, phlox, calla lilies and eucalyptus.